Brick is a prime choice for walls and other applications in all areas of Canada because it offers the perfect combination of visual appeal, strength and durability. The Keystone team has worked on a variety of brick projects, ranging from new constructions to all types of brick repair. Our highly trained, experienced professionals are committed to exceptional workmanship and take great pride in exceeding expectations with every project. 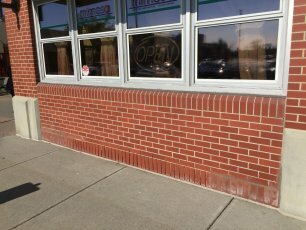 Our goal is to turn damaged brick into strong and supportive brick that looks smooth and fresh. If you’re tired of looking at cracked, broken or otherwise damaged structures, allow us to provide prompt brick repair that keeps your property aesthetically pleasing and safe. We have the training, experience, certification and insurance to complete every project correctly the first time around. Put your brick in the hands of seasoned professionals with a creative eye for the finer details.